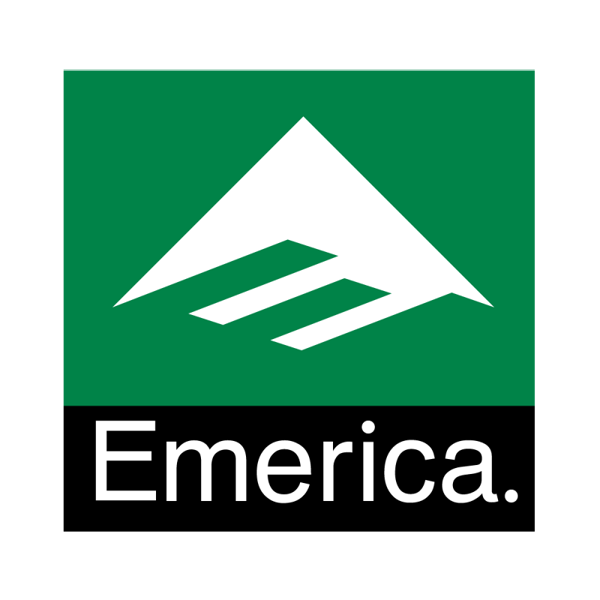 Emerica footwear was started in 1996 and has an impressive roster of professional skateboarders under its name such as Andrew Reynolds, Justin "Figgy" Figueroa, Jon Dickson, Brandon Westgate, Kevin "Spanky" Long, Collin Provost, Bryan Herman, Jerry Hsu, Ed Templeton, Jeremy Leabres and Leo Romero. Emerica is part of the Sole Tech group who also design and manufacture both Es and Etnies skateboarding shoes. All Emerica skateboard shoes are designed in the STI research facility and are manufactured to give ultimate skateboard control and feel. Some of the more popular models include the Reynolds Low Vulc, the Hsu G6, the Figueroa and the newly added Indicator which features a rubber toe cap for added durability. If you're looking for a skateboarding shoe that can withstand the effects of skateboarding from a company that is skater owned then Emerica is a no brainer!